Heyo, what’s up everybody? 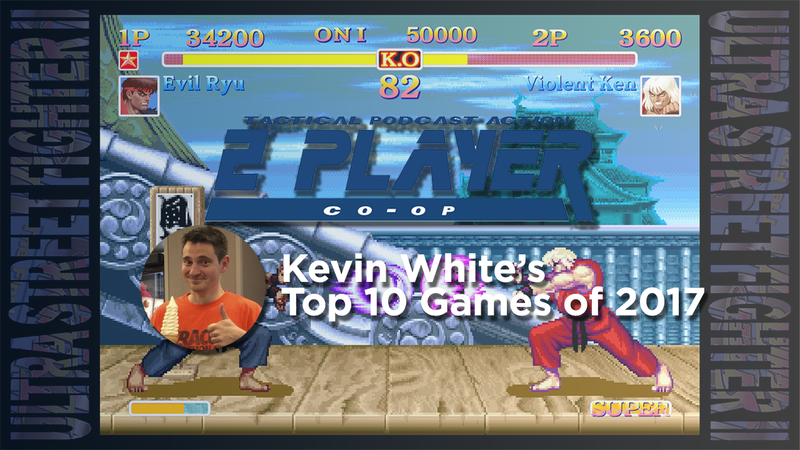 My name is Kevin White, and you may know me as the co-host of the 2 Player Co-Op Podcast (like, subscribe, share). 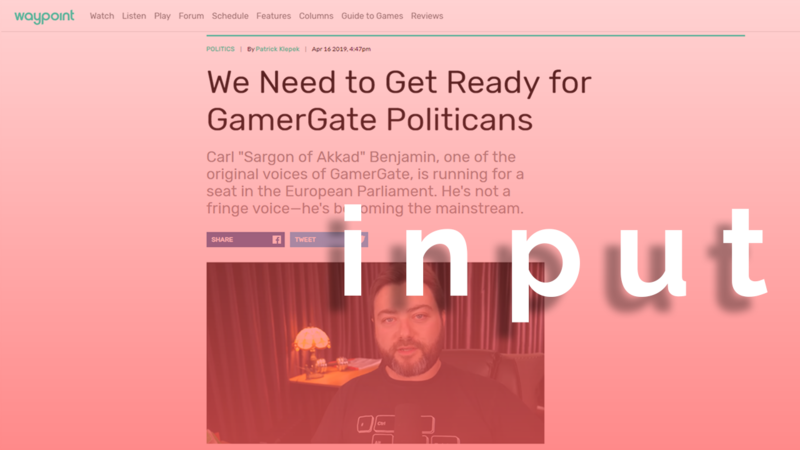 For the last two years, my brother-from-my-mother Sean and I have gotten together there every week to run through everything you need to know in the world of video games. 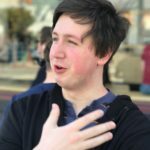 I feel privileged that the guys at Irrational Passions wanted to get my personal Top 10 list from the past year, and I am excited to share them with all of you. 2017 was a weird year for a lot of us, filled with highs and lows. It’s years like this that I am truly happy to have video games in my life to serve as a great escape when times get tough. Luckily when it comes to video games, 2017 had some of the highest highs I have ever seen in my 30+ years as a gamer. Of course, this list comes with a few caveats. I am a self-professed Sony Fanboy that does not own an Xbox or a decent gaming PC. (I edit our podcasts and Let’s Plays on a 6 year old Macbook Pro) I also don’t care for JRPGs or FPS games anymore, so there’s no Destiny or Wolfenstein or Persona 5 on this list. Because of all of this, there will be gaps in this list that you may be surprised at, but again these are my personal top 10 games of the year. You’re still here? Sweet! Let’s get into the games! I am one of the 7 or 8 people in the US that actually owned a Wii U. We all know the console was a colossal disappointment commercially, but that system did have some really great games stranded on it. One of these was Mario Kart 8, my personal favorite Mario Kart game. The game was a blast to play, whether it was with my two oldest sons, against the CPU, or getting more serious and going head to head with Sean. For all the talk about the lack of power in Nintendo consoles, Nintendo knows how to squeeze every ounce out of their systems to give their first-party games the VIP treatment. Mario Kart 8 was a great example of this, and was absolutely beautiful. Fast forward a few years to 2017, and the release of the Switch. Nintendo knew that nearly everyone that purchased the system was going to have their hands full with Breath of the Wild for a good length of time. When May rolled around, and people had dumped 50-100 hours into Zelda and wanted something different, Mario Kart 8 Deluxe was ready to fill the void. The game takes all the positives I mentioned above, and took it up an extra notch. New characters, all the tracks (including MK8 DLC), better resolution, dual items, and the much loved Battle Mode all made their way to Deluxe and made it the definitive edition of Mario Kart 8. The best thing I can say about Mario Kart 8 Deluxe is that it is pure fun, and to me it is the best Mario Kart ever released. This one may raise some eyebrows. One of the things that piqued my interest the most during the big Switch reveal event back in January was a quick clip of Ryu and Ken BOTH fighting M Bison in the new UDON Comics art style. My favorite fighting game of all time was coming back, and we can fight against someone 2 on 1? I was intrigued for sure. What we ended up getting was a great, nostalgic revisiting of my favorite fighting game of all time. The “new” art style, first seen back in the hilariously named Super Street Fighter 2 Turbo HD Remix, is really beautiful and inviting for newcomers who may not be as fond of the old pixel art of the original game. An interesting choice was made with the pixel art to mirror the SNES style instead of the original arcade graphics. That may sound weird, if you aren’t a Hyper fan of SF2 like I am (see what I did there) but there was definitely some graphical fidelity that was lost when porting the game to the SNES and Genesis in the early 90s that is also present here. Playing with the Pro Controller just feels great, and the muscle memory that I had for this game was pretty remarkable. Within an hour or so I found myself bumping the difficulty all the way up to level 8 for single player, and seeing that the patterns in the fighters I remembered from my childhood were still present and accounted for. To my surprise, I was also able to hold my own when fighting ranked matches online and had a blast in a crazy Best-of-75 live stream that Sean and I did on YouTube. 7 months after release, I still find myself going back to it every once in awhile, a testament to what a fun and engaging fighting game this is. 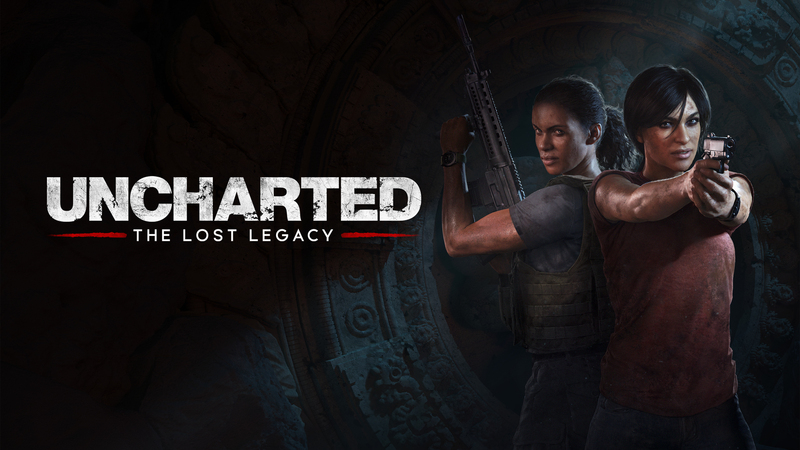 Uncharted: The Lost Legacy caught everyone by surprise back at PSX 2016, when it was revealed that the planned story DLC for Uncharted 4 had morphed and evolved into a stand-alone entry that would star fan-favorite Chloe Frazer, and Nadine Ross from Uncharted 4. While I thought that Nadine was fine in Uncharted 4, Chloe has been one of my favorites in the series, and her absence in UC4 was one of only a few gripes I had with the game. I think that most fans of Uncharted assumed that the DLC would have us playing as Sam, but when The Lost Legacy arrived it was fun to finally get to play as Chloe. Uncharted is one of my favorite series of all time, along with Metal Gear, Zelda, and a few others. That being said, I do think the time is right for Naughty Dog to step away from the franchise for the foreseeable future. Uncharted 4 wrapped the series up in such an absolutely perfect way, and had what is probably my second favorite ending of all time, only lagging behind Metal Gear Solid 3 in my eyes. Because of all this, it did feel a bit odd to be playing another game in the series, one that definitely did feel like an extension of 4. The gameplay was exactly the same as 4 including the jeep, and the severely overused rope, and slide mechanics. You climbed, got into gun fights, and solved puzzles along your journey, but none of it felt new. The climax of the game was fantastic, but the best parts of the game were the interactions between Chloe and Nadine, as well as the phenomenal acting by Claudia Black. She once again brought Chloe to life as we were given more information on her life outside of the games, and as she explored her family history. I wanted to like The Lost Legacy more than I did, but at the end of the day it is still an Uncharted game, and that alone is more than a lot of developers can do. The “Walking Simulator” is a genre that has really taken off over the last few years, while also being pretty divisive among gamers. To me, the genre peaked with Firewatch, the fantastic game from Campo Santo set in the Shoshone. I am also in the vast minority when it comes to Gone Home, as I don’t view that game as highly as others do. Luckily for me, Edith Finch is much more Firewatch than it is Gone Home in my mind. The game follows the Finch family for over 100 years and focuses on a supposed curse that has haunted the family over that time period. Stories in video games are what really matter the most to me, and what draws me to some of my favorite video games ever made. I have played through quite a few really great stories through my years, but I have never seen storytelling done in the way that Edith Finch pulls off so flawlessly. What the game lacks in length, it more than makes up for in depth. It is a truly heartbreaking story that would have been hard enough to watch play out in a movie, but is made that much more emotional when you are controlling the different members of the family and seeing what this curse has done first-hand. Edith Finch is one of those games that I love more and more as time goes on, and is an experience that I will probably never forget. After Sonic 3 & Knuckles, Sega took Sonic fully into the world of 3D and lost so much about what made Sonic so great to begin with. Mario 64 showed that platforming could work in a 3D environment, but Sega never figured out how to make Sonic do the same. Until July 2016, we all assumed Sonic was dead and would only live on in horrible games. Then, Sonic Mania was announced and my mind was blown. It definitely looked like the Sonic from my childhood, but once I heard that it was Christian Whitehead that was leading development I knew that the chances of us getting the first really good Sonic game in over 20 years were at an all-time high. Sonic Mania was everything, and more, that a Sega kid could have asked for. Classic zones were brought back with a new twist. New zones were so well done that they would have fit perfectly into the original trilogy. The art style kept the charm of Sonic 2 but added extra horsepower for new effects. The level designs were all so well done, and the boss fights were classic Sonic with some surprising twists worked in that just flat out worked. Was it perfect? Absolutely not. 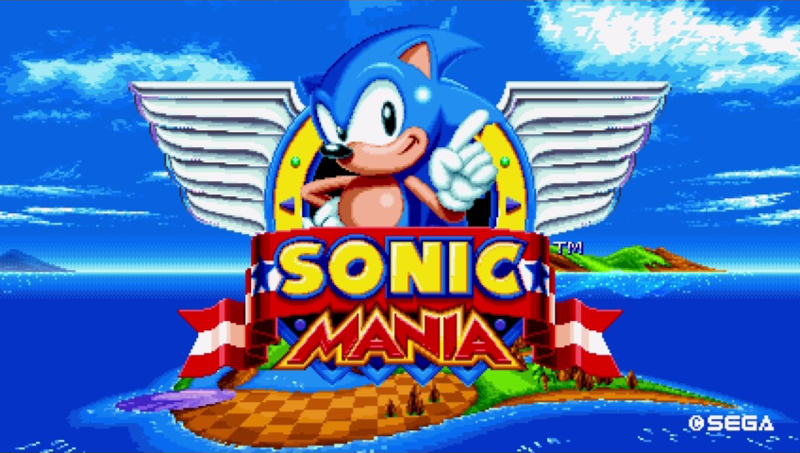 But without a doubt, Sonic Mania is the best Sonic game that has ever been made. I haven’t played Mario 64, Sunshine, or either Galaxy game for more than a total of about 30 minutes in my entire life. Mario to me is, and has always been, a side-scroller. Like so many of us, Super Mario Bros was the first Nintendo game that I ever played. Sean and I just got done playing through all of Super Mario 3 in our Mario Mondays series, and it is still one of my top 10 games of all time. I recently went back to World for the first time in a while when I picked up my SNES classic, and it is just as magical as I remembered. Because of everything I have written so far, I was extremely excited and also extremely nervous to get my hands on Super Mario Odyssey. In the lead up to its release, the Capture mechanic in Super Mario Odyssey just never sat right with me. There were no more fire flowers, capes, raccoon tails, or any traditional power-ups that have defined the series for me. Once I played the game though, it clicked. I loved how capturing different enemies served to almost turn the game into more of a puzzle platformer as you had to use the enemy’s powers to get to hard to reach Power Moons. Outside of that, the rest of the game was just so much fun and I found myself just grinning like the Cheshire Cat on so many occasions, including the absolutely unreal ending to New Donk City. Originally I thought that Odyssey was going to be a solid #3 on my list, but for the most part it seemed like the game went downhill after NDC. As time went on, the confusing and frustrating control scheme really began to grate on me. I do not play my Switch with both Joy Con in my hands, I play with the awesome Pro Controller. Because of this, a lot of the motion-based moves ranged from incredibly frustrating, to impossible to pull off consistently. This is made even more frustrating by the amount of buttons on the controllers that go completely unused in this game. Nintendo could have easily assigned some of the motion throws to specific buttons, and left fans with a much more enjoyable experience. Collecting the Power Moons also got old quickly, with so many of the moons being right in front of your eyes that it became more of a chore to collect them instead of a feeling of reward. In addition, once I had beaten the main story (including a climax that you have to experience to believe), I just never really felt the pull to go back and continue playing. The game just didn’t stick with me like the rest of the games at the top of my list have. It may sound like I am more down on Odyssey than I really am. Overall I really did enjoy my time with Super Mario Odyssey, and if my main nitpicks above had been addressed it would have been even higher on my list. Nintendo has had an amazing year, from the first Switch presentation back in January, all the way through to the release of Super Mario Odyssey a few weeks ago. One of the big highlights was their E3 presentation where they showed off a new Kirby game, announced Pokemon was coming to Switch, and teased the eventual release of Metroid Prime 4. None of these were the highlight to me though, that was what they led off the Treehouse Live portion with – Metroid: Samus Returns! Fans have been clamoring for a new 2D Metroid since Zero Mission was released 13 years ago, and while Samus Returns wasn’t brand new it definitely filled the gap in nicely. Samus Returns is a remake of Metroid II on the original Gameboy, and follows Samus as she is sent to planet SR-388 to eradicate the Metroids once and for all. The game introduces a new 2.5D art style, as well as a lot of gameplay improvements including the melee counterattack, and the Aeion abilities. 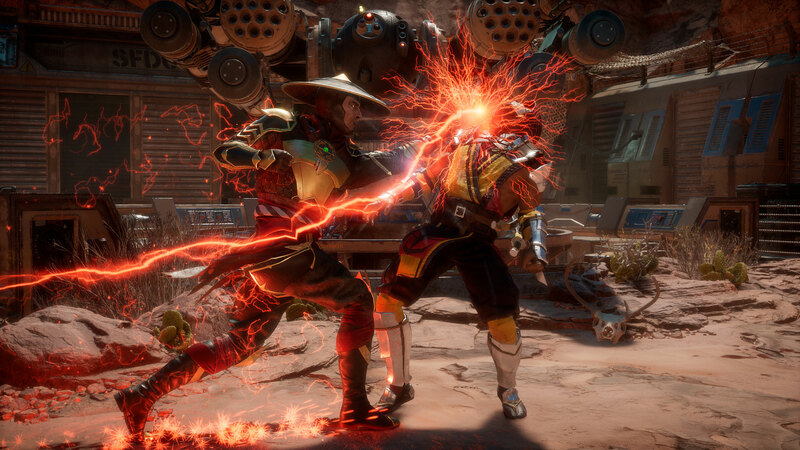 These include a pulse scan that shows hidden paths and items, a machine-gun like beam burst attack, lightning armor that prevents damage, and phase drift that slows down time around you. Some have complained that the scan pulse is almost game breaking, but I prefer it much more than the cumbersome x-ray scope in Super Metroid. The timing of the melee counter takes a little getting used to, but once it is mastered it adds another level of depth to the gameplay. While I do prefer the pixel art of Super Metroid and the two GBA titles, I found myself really liking the new art style. This was one of few games on the 3DS that I actually turned the 3D on for, as it gives more detail to the levels and makes them feel alive with so much happening in the backgrounds. The way that Samus is animated is so smooth and so well done. Little touches like the way that she aims behind her really add to the experience. The boss battles that are in the game, while not as numerous as in previous games, are stress inducing and very challenging and require you to use all of Samus’ weapons and abilities to take them down. Overall, Samus Returns was a game that I just did not want to end. Until I beat it, I was taking my 3DS around with me so that if I had some free time I could jump in and try to find the next Metroid to conquer. It was great to see that Nintendo hasn’t given up on the 2D Metroids, and I hope that in the next few years we can get another one in full HD on the Switch. Capcom has been on a roll throughout 2017, and it all started back in January when RE7 was released. Lots of true Resident Evil fans had been turned off by the action-heavy turn that 5 and then 6 took, as they had essentially abandoned the survival horror aspect that the series had been built on. Throughout the lead up to release, Capcom made it very clear that they were going back to their roots, and that they were going to scare the ever loving hell out of you. The biggest change came in the form of the perspective, with the over-the-shoulder third person perspective being abandoned in favor of first person. This decision turned out to be a great move, and it made the Baker family that much more terrifying. The first hour or so of this game is unlike any game I have ever played before, and it wasn’t cheapened at all after Capcom had essentially given most of it away in the free demo that was made available. The feeling of dread and uneasiness was so palpable that every step I took had my blood pressure going through the roof. Resident Evil games have always made you take a deep breath before opening a door, but the constant threat of the Baker family popping out of nowhere made it that much worse. My only gripe is that the last act of the game does become much more action focused than the first two thirds. A lot of the tension that was so magical in the game was traded in for more of what RE5 and RE6 did, with guns blazing as you worked your way to the conclusion. Had that final act kept up the survival horror that the rest of the game did, this may have been a contender for the top two spots. That being said, I am so thankful that Resident Evil is back to what it should be and I am very hopeful for what Resident Evil 8 may end up being. Putting Horizon at #2 was a decision that I have struggled with for the last few months. It is the prettiest game I have ever played, and saying that doesn’t even do it justice. From the intricate costumes that Aloy and the other humans wear, to the varying settings that range from jungles to snowy mountains, to the amazing designs of the machines, the game continued to blow me away at every turn. I have never really cared for photo mode in video games until Horizon, and if you followed me on twitter as I was playing through it you would know that already. I thought it would be hard for Uncharted 4 to ever be topped, but Horizon did it. The gameplay is something that was also way better than I thought it would be. If you could take Metal Gear Solid, Uncharted, and Zelda and throw them into a blender you would come out with Horizon Zero Dawn. The bow and arrow in video games has never been my favorite method of attack, but here it really added to the overall feel. Not having a fully automatic weapon in your hands forced you to use your Focus to find the weak points, equip the correct weapon and ammo, and then methodically pick away. The melee attacks with your lance also function well if you get up close and personal with an enemy. There are also various smaller enemies that you can take out by hiding in tall grass, whistling to get their attention, and then stabbing them when they get too close. Just when you think this is the way you should continue to approach your battles, you run into some robots that can see through your stealth and force you to change your approach. Combat is so well done in HZD. To me, the star of the show is the amazing world that the team at Guerrilla created. 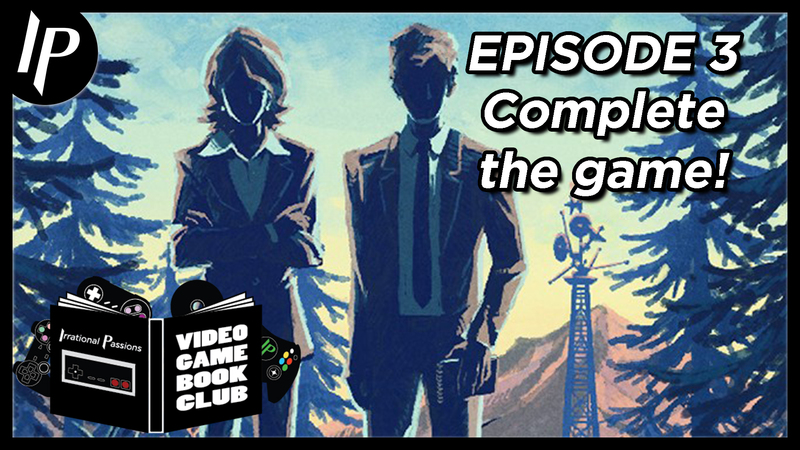 In only one game, they have crafted more lore and backstory than some other developers can do in an entire series. Aloy’s journey to uncover the truth about where she came from, and what brought Earth to its post-apocalyptic state is a wonder to behold. Aloy’s origin is one that I did guess early on in the game, but the events that transpired to bring about the death of the “old ones” as well as why humanity was left in such a primitive state is truly heartbreaking. By the time the credits roll, everything has been wrapped up in a neat little bow, but a post-credits scene sets the stage for the inevitable sequel that I cannot wait to play. I love Horizon Zero Dawn, and it is a very special game. It is actually one of my top 5 favorite games of all time. In any other year, this would have been any easy choice for my game of the year. As we know though, 2017 was not just any other year in video games. Zelda has been a part of me since Christmas 1987 when Santa blessed Sean and me with the Nintendo Entertainment System. Since then, Link’s adventures have remained the same for the most part; beat a dungeon and get an item that will help you in the next one, continue this until it’s time to get the Master Sword, fight your way to Ganon and then save Princess Zelda. There have been some variations along the way, but the basic formula of a Zelda game has been the same for the past 30 years. I clearly loved that formula, because Zelda is my second favorite series of all time. With Breath of the Wild, Nintendo set out to completely change the game for the first time in 30 years. The result was one of my favorite video games ever made. Taking cues from the original Legend of Zelda, Nintendo wanted to give players the sense that they could go anywhere and do anything they wanted to. The game begins on the Great Plateau where you learn the lay of the land while beating the first four shrines and obtaining the four runes that will be with you for the rest of your journey. Once the shrines have been beaten, you get your Paraglider and the rest of the world is then open for you. Want to go straight to Hyrule Castle and take on Ganon? Go for it! You would rather take your time and beat all 120 Shrines first? Have at it. A mix of both? Sure, do whatever you want. That is the beauty of Breath of the Wild. That amazing sense of wonder and exploration that Miyamoto felt as a child that was the inspiration for creating Zelda in the first place, was now realized better than ever before. Similar to both Mario Kart, and Odyssey, Nintendo has once again shown that they are the best at getting everything out of a piece of hardware that they can. The art style of Breath of the Wild strikes a nice balance between the cel shaded look of Wind Waker, and the more realistic approach of Twilight Princess. You will inevitably see some pop-in when you are dealing with a world this big, and it typically seems to only happen when covering great distances with the paraglider. The world is so pretty that one of my favorite side activities is to fast travel to the nearest tower, and just glide off in the direction that I am wanting to go. It’s such a sublime and peaceful experience and it just lets you take in the beautiful world around you, as long as a Guardian doesn’t happen to see you floating by. The music has definitely changed drastically from past Zelda games, where the familiar tunes were seemingly ever-present. Going along with the name of the game, it is usually the sounds of the world around you that take center stage more than themes you may be used to. When the music does kick in, the subtle piano tones serve to let you know that something should be grabbing your attention. You will also quickly get used to the frantic music that plays when a Guardian has you in their sights. When you do finally decide to make your way to Hyrule Castle, you are greeted with some new takes on the classic themes that I mentioned earlier, so don’t fret that they are completely absent from the game. Using them so sparingly makes the effect that much greater when they do kick in. If you have played a 3D Zelda game before, you will be happy to know that the familiar “Z Targeting” has returned. Link can easily lock on to the enemy he is engaged with, and in addition to attacking, he can parry and dodge with a flip of the stick and a button press. One big difference, that I really like, is that you no longer really engage with enemies one on one. In past games, Link’s enemies would take turns fighting him, a trope that plagues a lot of action sequences in movies as well. That is gone in Breath of the Wild. You need to be on your toes when engaging a group of enemies, and make sure your head is on a swivel to see where the next attack is coming from. This is much more realistic, and gives the game a much needed difficulty spike compared to older games. With respect to controls, I would be remiss if I didn’t mention the biggest addition to the game, and gaming as a whole. Climbing. Dear Lord, the climbing. Something that may seem so innocuous to an outsider was a literal game changer. Gone are the days of Metal Gear Solid V, where a mountain in your way was an obstacle that could not be overcome. The shortest distance between two points now really is a straight line (provided you have enough stamina to make the climb). Even playing Horizon after BOTW was slightly sullied because Aloy could only climb where yellow handholds were made available. Other than that, you had to go the old tried and true method of awkwardly jumping from side to side to try and make your way up an obstacle. BOTW has changed open world games, and it will be interesting to see how other developers adapt in the coming years. The couple of minor complaints that I have (only 4 real dungeons, breakable weapons) don’t really take away from the experience as a whole. Breath of the Wild is a masterpiece from beginning to end. It is the reason I pre-ordered a Switch along with a Pro Controller, and it was completely worth it. 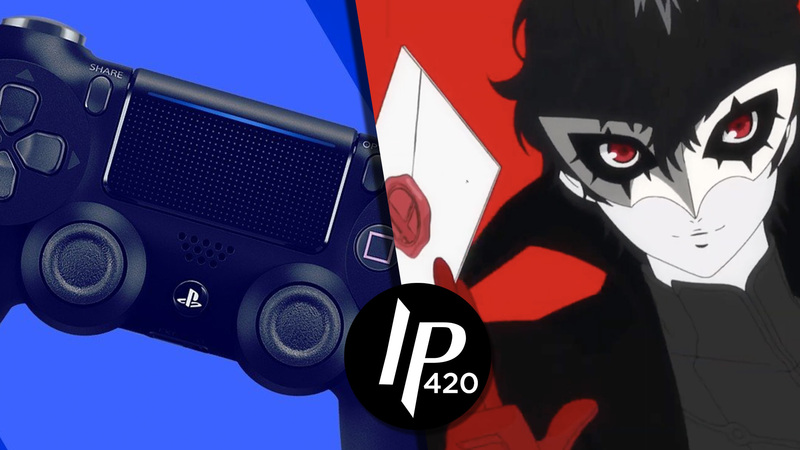 This is a game that will leave a lasting impression on the industry for years to come, and one that should be experienced by all gamers even if they don’t have a previous connection to the series. The Legend of Zelda: Breath of the Wild is my game of the year.